Comment of the Month. It’s Your Ship. In the News. Employee of the Quarter. 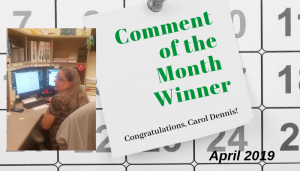 Comment of the Month Winner Congratulations to Carol Dennis at Akerman LLP! 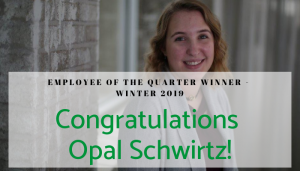 Employee of the Quarter | Winter 2019 Congratulations Opal Schwirtz, Receptionist at CMG! 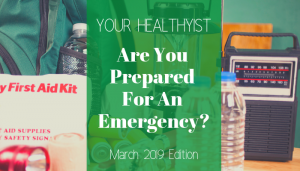 Your HealthyIST Are You Prepared for An Emergency?